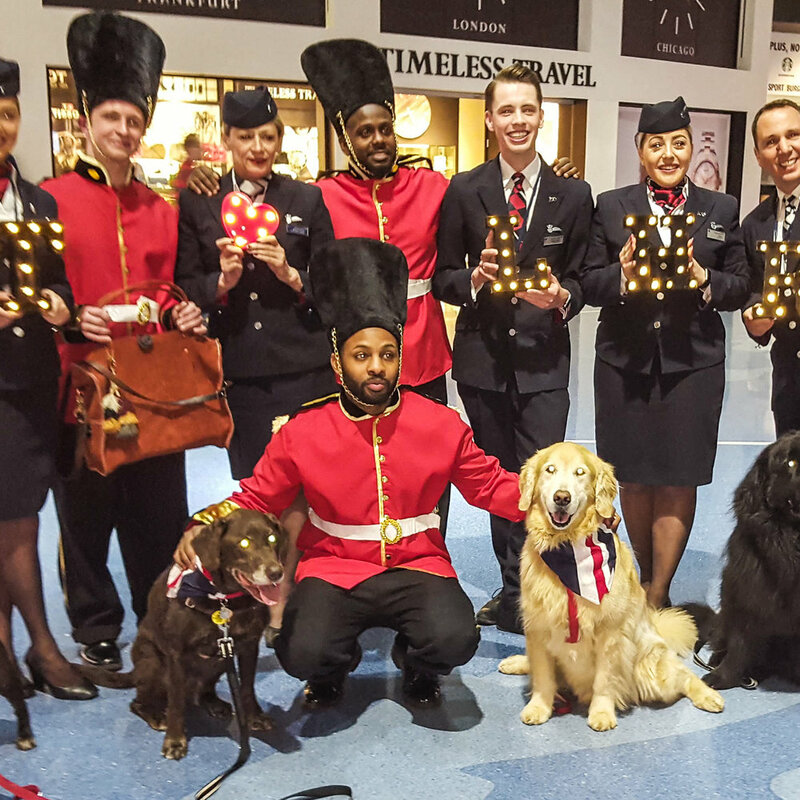 Recently, our festive "palace guards" greeted the first or many incoming British Airways flight as they kicked off their new year-round service between Heathrow and Pittsburgh International Airport! 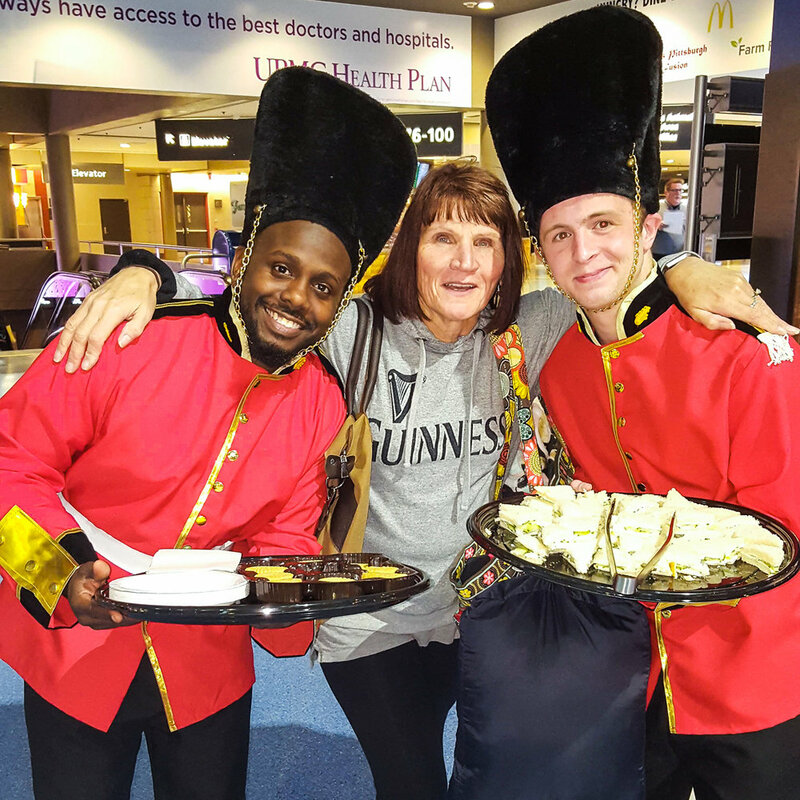 Working with our friends at Fraport, the guards had a smashing time serving up cucumber sandwiches, shortbread cookies, and other traditional British treats, while a Beatles cover band accompanied them! Then, they sent off the first outgoing flight to foggy London Town the same way!